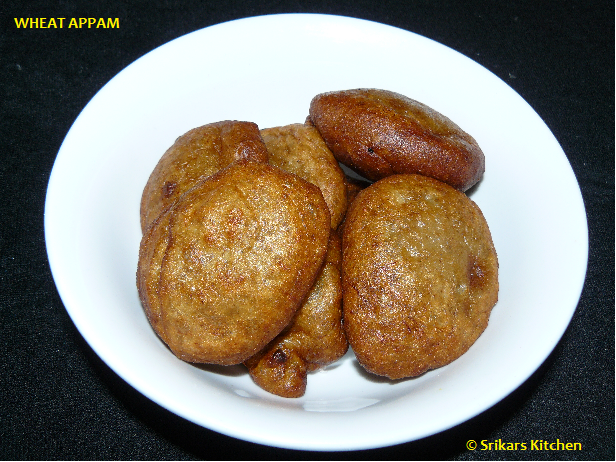 Wheat flour Appam- This is very easy to make & very tasty recipe . Normally we make this appam for festivals like Ganesh Chaturthi, Karthigai Deepam, Krishna Jayanthi & Sumangali Poojai. Take a bowl add wheat flour, grated jaggery, banana, cardamom powder , little water & mix well. The batter should not be neither too thick nor too thin. Heat oil in a pan, add small laddle of flour in it & fry both side until golden brown..
Beauty & Tasty Appam. Thanks for sharing.